No matter what it is we wish for, life can surprise us with a different kind of motherhood. Not every woman experiences motherhood in the same way. In some cases, the difference is more apparent and abrupt than in others. But every woman wants to have a healthy pregnancy which culminates in a successful birth. A wanted, long-awaited pregnancy is an important event in a woman’s life. Motherhood lights a spark deep within her. It fills her world with color and pushes her to discover the very best in herself and share it with the world. Becoming a mother gives her power and strength. But much as we might wish for a normal pregnancy, we cannot control everything. When the mysterious designs of destiny intervene in our lives, motherhood can turn out quite differently from what we imagined. What is this different kind of motherhood? Different kinds of motherhood, “shooting star babies” and “rainbow babies” are relatively new concepts in society, so it’s understandable if you haven’t heard of them. To help you identify them, we’ll now take a look at each one. Some kinds of motherhood don’t follow the conventional path. Some don’t go ahead as we would have wanted. A shooting star baby is one who is alive in the womb, but for reasons that are out of our control, does not make it into this world. This baby has felt the love of their parents, and has filled them with hope. 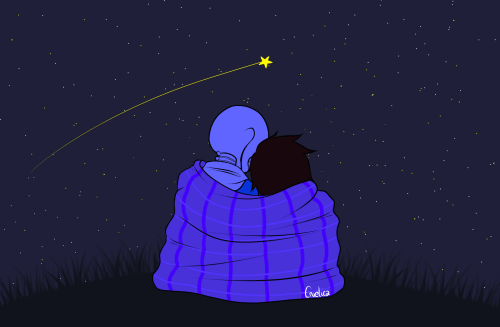 But sadly, just like a shooting star, they are gone all too soon. Facing the circumstances surrounding a shooting star baby is difficult. When a baby passes away in the womb, the journey to motherhood takes a nightmarish turn. A period of mourning is inevitable. Hopes are dulled and the world seems to lose that special shine that we were used to seeing. Depression can easily take hold. Although this baby left us before their time, they were part of us and part of the family all the same. Despite their passing, we love and value their memory, though space and time separate us. Remembering them may be difficult at first, but with time, as the pain fades, the feeling becomes more sweet than bitter. When we are able to carry on and deal with the pain, we are ready to get our hopes for motherhood up again. When we become pregnant again, the rainbow baby comes into our lives. This baby is the one born after that shooting star baby. They arrive full of light and color, to brighten up our lives and bring back that special glow that only motherhood brings. A star is a celestial body. We know that it is real, natural, even though it is distant. That doesn’t stop it from being beautiful and magical. The same is true of the shooting star baby. They do not come straight to us as we had hoped. But they touch our lives forever. Their sweetness lives on, as constant as the stars. This loss is irreparable. We might say that a mother never recovers from it. But in truth, we learn to live with it, and this is how we are able to move on. Fortunately, if there is something that motherhood (of whatever kind) gives us, it is the infinite capacity to love again and again. Having a shooting star baby as our first glimpse of motherhood teaches us to love. This is something that is not easy to forget. That little life that grew inside us for a while made us into mothers. The darkness goes away, sooner or later, and the sun returns. The road ahead opens up, with all its twists and turns. Life smiles on us again, with a new pregnancy, one that goes to term, despite our worst fears. This is how a precious rainbow baby comes into our lives. A rainbow will only appear after a storm has passed. If that storm is the pain of a couple who has lost a child, then this baby will be born in difficult circumstances. 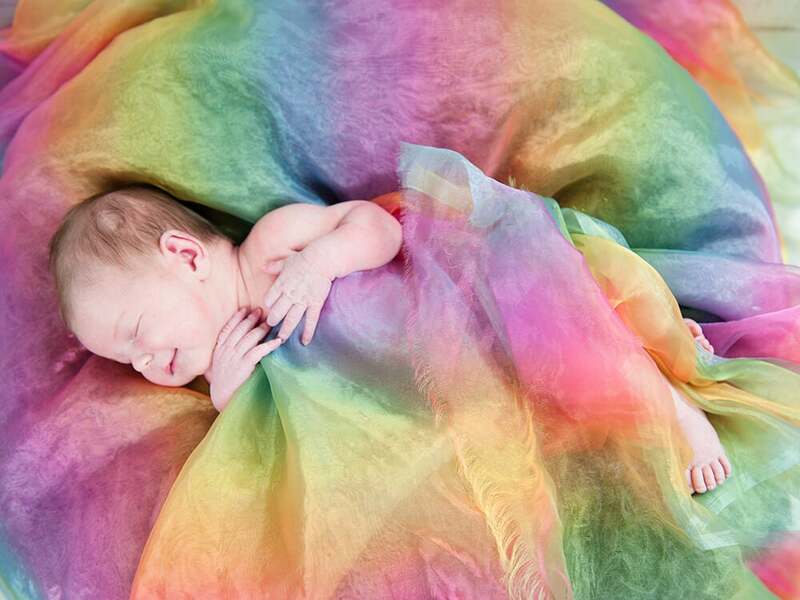 Living up to their name, the rainbow baby fills the sky with light and color again. They arrive in our lives like a ray of much-needed hope and inspiration. 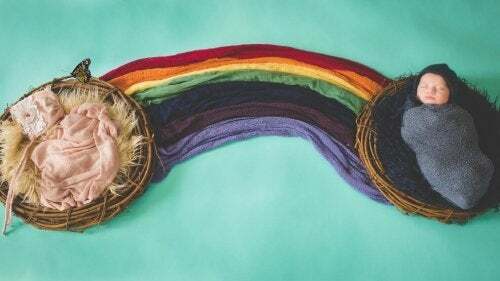 The rainbow baby is born after a time of adversity. Their parents know what it is to mourn. They are scared of going through the process of pregnancy (and birth) again. This makes this kind of motherhood different. The parents may be overcautious, doubting themselves at every step. But when this rainbow spreads across the skies and into our lives, it is able to take away all our pain. Despite the fear and mourning that follows a shooting star baby, hope rises again, in all its splendor. The light of the rainbow shines in hundreds of colors, bringing warmth and joy flooding back in. This is a new happiness, a different kind of motherhood, radiant with smiles and possibilities.